When you go to battle you need to protect your self from the enemy. One of the basic gears we see in combat used by soldiers is a military helmet. Ballistic helmet will protect your head in addition to your torso where bulletproof vest used. The beginnings of the military helmet date back to the 13th century as one of the oldest forms of protection from combat. They were used by the Greeks and Romans, specifically for protection against flying arrows during battle. Upgrades continued with materials that were used, ranging from material to brass, dependent on the type of defense needed as well as the strategies that were used. By the 1600s, there was a shift because of the introduction of guns, leading to steel as a basis. This led into the newer formats that are used today by military for more protection. The main concept that is used with a combat helmet is defined by the round shape. This covers the front, back and sides of the head evenly. When one wears the helmet, they will remain protected all the way to their forehead, offering complete security. There are also different styles of helmets depending on the operation it be used in. For instance, some of the combat helmet styles require extra room for communication of special operations. Other styles for air combat and paratroopers are available for lower weights to avoid limit the movement. The expectations for combat are defined with style to create added protection and convenience. The ballistic helmet is used my the army in the battlefield to provide best security it can. Ballistic materials, such as Kevlar and aramid are added into the helmet to stop the impact of different attacks. 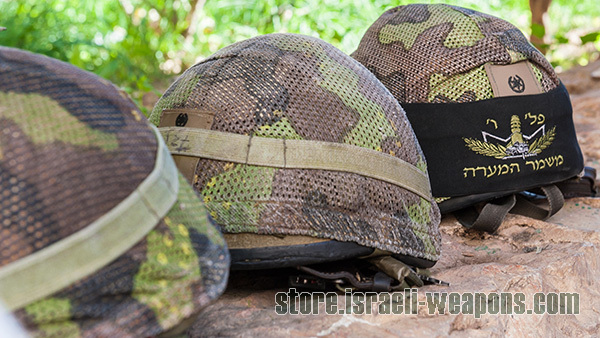 Another concept is from the IDF helmet, or Israeli Defense Forces helmet. This is popular because of the design and the ballistic materials that are added into the helmet, providing some of the top designs for protection.